the is amazing, and i’m not a big anime fan but the series is very good, and you should cheack out the soundtracks to Cowboy Bebop (which alot of great jazz stuff) and Fooly Cooly (which is rock by a band called “The Pillows”) as well. plus the series are as great as the music. The series is, in my opinion, pretty mediocre, but the soundtrack is definitely unique and worth checking out. I especially like the track by Force Of Nature, and I’m curious as to where I could find more of their music. The story isn’t very deep but the tie ins to hip hop and Japanese feudal history are kind of what make the series, along with the action of course. 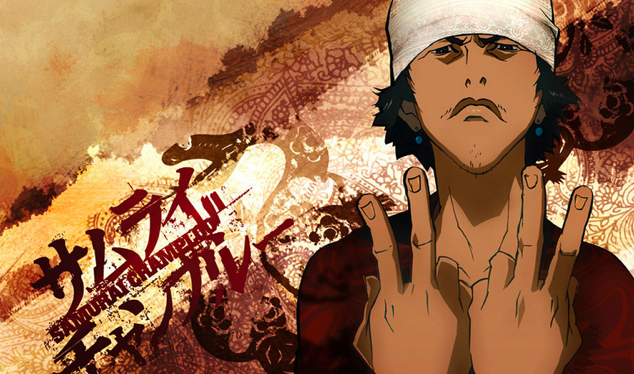 It’s a perfect start for a hip hop fan who wants to get into anime.